Home Health Opinion poll Is Beer good for you? Italian researchers have found that moderate beer drinkers have 40 percent less risk of heart disease than those who abstain, according to Domonell. Research at Harvard University also suggests that moderate beer drinkers have a lower risk for hypertension. In addition to cardiovascular benefits, drinking one or two beers a day may boost the immune system and help the body fight off infection. 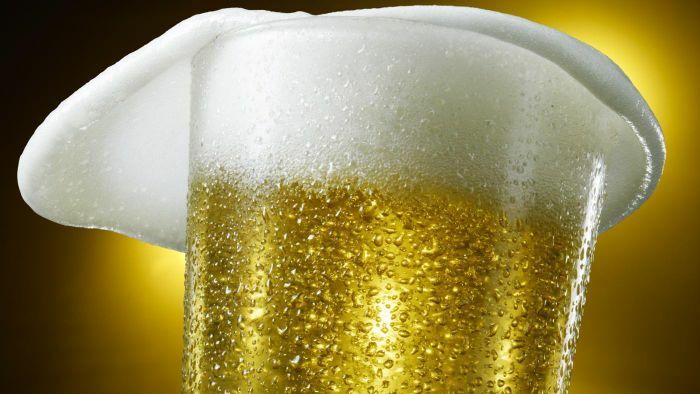 Men who drink one or two beers daily may have up to 4.5 percent greater bone density than non-drinkers, and according to Cynthia Sass for Shape magazine, increased bone density has been correlated with female moderate beer drinkers as well. Sass also reports that beer has a surprising amount of vitamins and minerals, including B vitamins, calcium, magnesium and selenium. A standard 12-ounce beer also offers approximately 1 gram of fiber. Moderation is key. According to WebMD, to realize the health benefits of beer, women should limit themselves to one 12-ounce beer per day while men should drink no more than two. Drinking more can actually reverse the beneficial effects of imbibing your favorite brew.